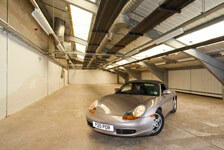 Buckingham Car Storage is run by Martin Hornsey and Graham Caddick. Martin’s love of cars dates back to his primary school days when his father, a race course marshall, would take him to Silverstone for Grand Prix practice. He spent his early teens learning how cars worked by driving old bangers and repairing or modifying them when they broke down. Passing his test as soon as he was old enough, he worked in plant hire and transport, spending several years running antiques to and from various parts of Europe in HGVs, in between racing Karts & Stock Cars. More recently he has been involved in restoring old & listed buildings, while still being a regular visitor to Silverstone and Le Mans. For the past ten years he has managed Three Bridge Mill Industrial Park where he met Graham Caddick. 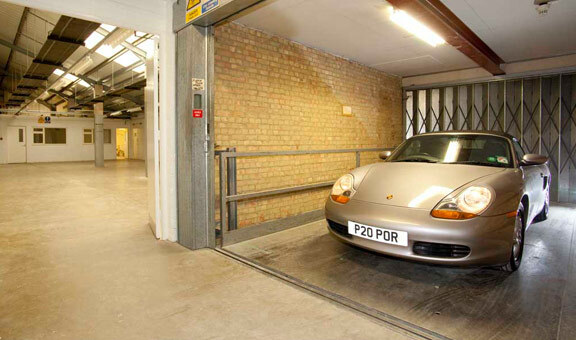 With his experience of the trade, they highlighted a need for safe, secure car storage and along with the owners of the building, have formed a company to fulfil that need. Graham is a paintwork specialist who runs his classic and vintage car restoration business, Limn Historics on site. Limn Historics was founded by Graham Caddick after a lifelong enthusiasm for classic and vintage cars. After training in a modern bodyshop, Graham followed his passion for classics and started up his own company, GC Autorefinishing in 2005, restoring classic and vintage vehicles at North Farm in Quainton, Bucks. Graham’s reputation soon spread due to the high quality of finish and friendly service provided and the business outgrew the old premises, prompting the creation of Limn Historics Ltd. at Three Bridge Mill in January 2010. Limn has now further expanded and taken on employees with expertise in all aspects of restoration. We all have the same attention to detail and maintain Graham’s welcoming ethos, whilst retaining the personal service he prides himself on.